But then KLM decided to have a contest, and thanks to a little assistance from YVR Deals followers, well, here we are. I can't emphasize enough how rare an opportunity this is. 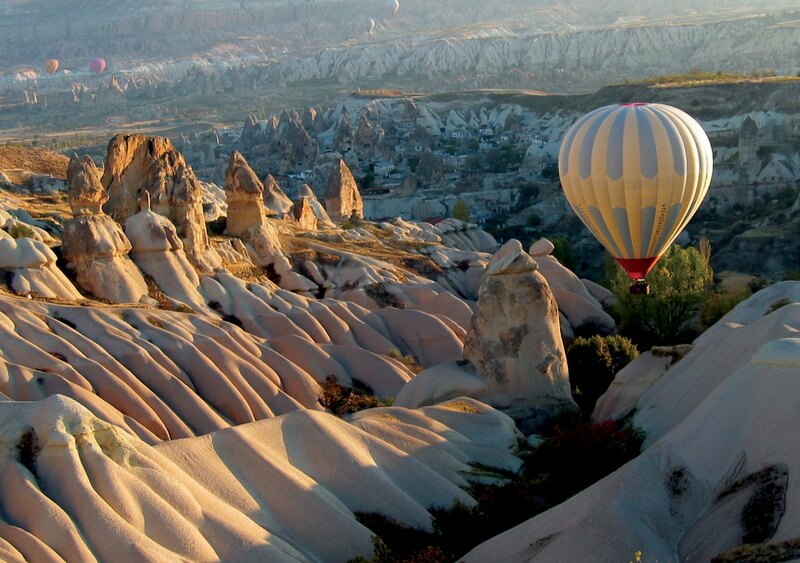 If you've ever wanted to visit Turkey at an insane price, this is your chance. At the time of this writing they haven't officially announced the winner, but I can see that they've already loaded the cheap fares to Istanbul into the system on KLM.com. In fact, I just bought my tickets. The bottom price looks to be $700 roundtrip after taxes, but the majority are in the range of $750 roundtrip after taxes (as KLM promised they would be), depending on the dates. To find them, you can just go to http://www.klm.com and search for flights from Vancouver to Istanbul. vancouver, yvr, flight deals, eastern europe, air canada, europe, united, klm, southern europe, southeastern europe, delta, istanbul, turkey, ist, eurasia, lufthansa, air france and austrian airlines. 13 Responses to "Vancouver to Istanbul, Turkey - from $700 roundtrip after taxes!" Thank you for the deal update. We voted for that on facebook and I think it worked. My friends started buying the tickets already. Is there a way to get this deal as a one way from Turkey back to Vancouver? Unfortunately I don't think so Kean. Could be worth looking at a cheap one way fare from Istanbul to Amsterdam or London, and then a cheap one way fare from one of those two cities on Air Transat. 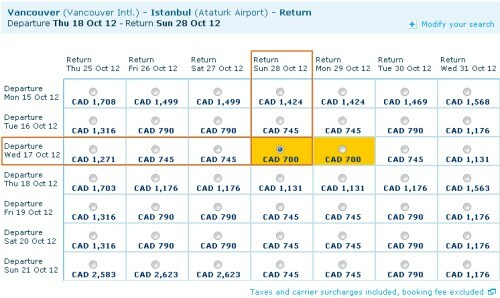 Do you know how often KLM (or other airlines) have fares this cheap for Istanbul? My wife and I are planning a trip to Tehran for next summer, and this flying via Istanbul at this rate will save us a considerable amount of money. Unfortunately, we don't have our dates worked out. Do you think we'll see this rate again in the near future or should we jump on it and make our trip work around it? The deals you find are unbelievable! Keep up the good work! It's an extremely rare event for sure. Delta did have a sale in 2011 though, so I suppose it could be a once a year type of event, although it's impossible to say for sure. The other issue is that I don't think such a price has ever been offered for summer travel. Although you can't stop in AMS, seems like a good selection! Fantastic deal. Two of my coworker booked. I went last year in May and flight was $1500+. Love Your Alerts! Thanks so much for this saweeet deal! and all your info on sites etc. -then just to see the price we had our stopover in Amsterdam for 4 nights, pressed the magic button...and voila! The price worked out cheaper than the original fare and we got to fly out a day earlier on the best optional flying time!!! $718 instead of $745 all incl. and a second country now in the mix for FREE! Yes, it can't really get much better than this....unless you want to fly to Toronto and spend that same amount?? We'd love to buy you a drink over there on us if you are going in Oct! gemmyN. how did you get it so cheap. i just tried and it is still $1500 per person. i did it from vancouver to amsterdam to ist and same on the way back. leaving in april 2013. Im unable to find this deal. Did they remove it from the site? Sinem: This deal expired on Thursday, after the 48 hour sale period was over.